Design International is an architectural practice with over 50 years of award-winning history on a global scale and offices in London, Milan, Dubai and Shanghai. 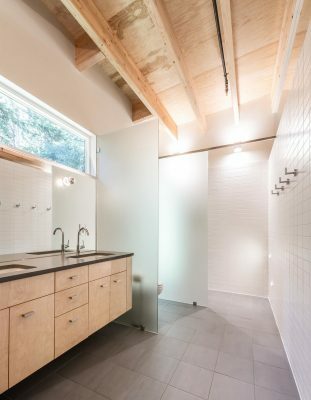 Design International’s philosophy is deep rooted in the belief that every design should have its own individual story. Unique designs are tailored to enhance the experience of the public and create quality destinations and places where people like to stay. As an early creator of transformative retail architecture, Design International remains at the forefront of the industry creating buildings with the flexibility to adapt to evolving technologies and the pace of market changes, their “durable” growth designs enable economic, financial and social stability for future generations. Their stand at MIPIM will showcase the journey from retail to sustainable hospitality in the digital era, and the importance of ensuring a quality experience to the visitor. Exhibiting at booth P-1, N.2, Design International will present a selection of their recent exemplary projects. These will include Ferrari Centro Stile, our recently opened project directed by the Ferrari Design team led by Arch. Flavio Manzoni and design in cooperation with Design International London studio, led by Arch Davide Padoa and with Planning engineering studio. Tunis Garden City, “the city within a city”, A mixed used project in Tunisia including residential buildings, a museum, an entertainment and leisure area, hotel and serviced apartments and retail components. 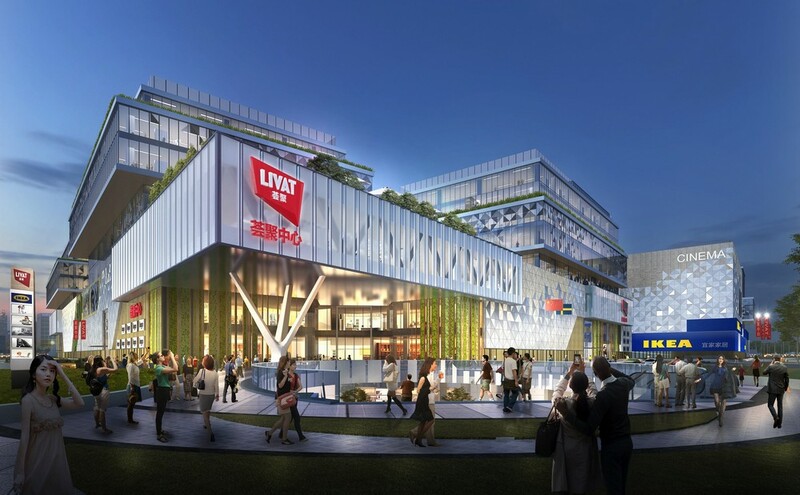 Izmir, the striking mixed-use centre that is a key landmark; and Livat Linkong in Shanghai that will provide a green meeting place for the people of this busy megacity. To find out more about our experience first-hand and get advice on trends shaping retail and leisure architecture of the future, visit Design International at MIPIM 2019. 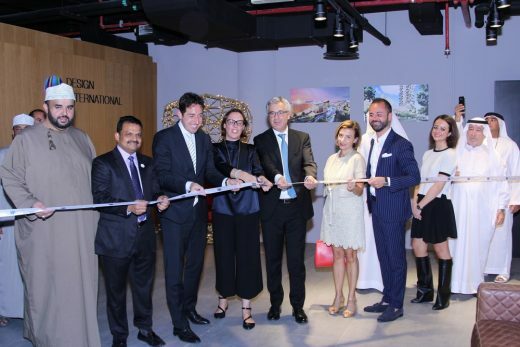 On the occasion of the Italian Design Night in Dubai (March 6, 2018) Design International has inaugurated its offices at d3, the Dubai Design District, the new beating heart of the city’s creativity, which hosts the most important architectural firms, high fashion brands , hotels and luxury apartments. The evening celebrated the excellence of Made in Italy, in the presence of the Italian ambassador, Liborio Stellino, and local authorities, and was the occasion to present the wide selection of innovative and original products and projects by studies of architecture, showroom and retailer of the main Italian brands. 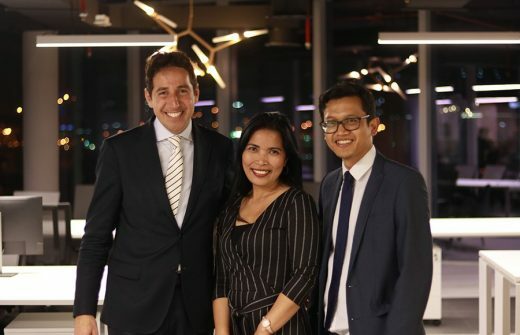 The opening of this new office in Dubai consolidates the strong presence of Design International within the Persian Gulf real estate market and the desire to further expand its professional horizons. Among the most important projects of Design International made in the United Arab Emirates are: Avenues Mall Silicon Oasis in Dubai, 92,000 m2 GLA which consists of five gigantic pebbles and is inspired by the movements of the ancient Arab peoples in the desert; inside, the shopping center emphasizes nature through its most extraordinary values, with five squares recalling the five elements of an oasis; Reem Twin Towers in Abu Dhabi, a mixed-use project that combines commercial spaces, green areas and 350 dynamic housing units, offering sophisticated solutions for users. 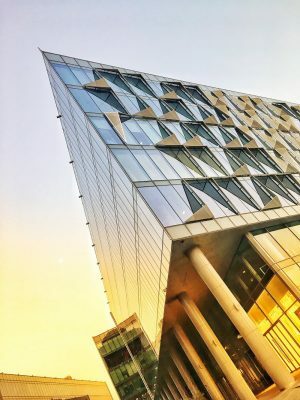 The iconic shape of the towers inspired by the flowing lines present in nature is taken up by the project, creating a continuous line between the different areas. Both these works, commissioned by LuLu Group International, perfectly embody the futuristic philosophy of Design International, which strongly believes that each project has its own individual history, able to offer visitors a unique experience in different fields: retail, hospitality, commercial, residential and leisure. As the practice that created the first food courts in Europe and Canada back in the early 1970s, Design International continues to set the trend in F&B in retail and leisure architecture. Now, though a new partnership with specialist consultant Laurenzi Consulting, they will create a fusion of ideas and encounters evoking unique F&B excitement for clients. With a design philosophy rooted in a desire to understand and shape local stories to create transformative experiences through architecture, Design International’s expertise will complement the specialist focus of Laurenzi Consulting, who are well known for their skill in shaping and enhancing food experiences. Laurenzi Consulting is a leading food-and-wine consulting company based in Rome. It provides consulting services throughout Italy and abroad. Since 2004 Laurenzi Consulting has been involved in providing all-round solutions to the food and hospitality industry. “We have carried out concept development for the renovation of existing spaces or for set up of new locations devoted to the food-and-wine business. Now it is time to focus on Retail Business to design a new concept of food experience”, says Dario Laurenzi, CEO of Laurenzi Consulting. Laurenzi Consulting is a team comprised of professionals with a long-standing expertise in food and beverage field who work with passion and know-how. We create and realize successful food and beverage format, combining three fundamental elements: product, architecture and marketing. From ideation of format to architecture, from research of new trends to competitiveness analysis, from organization and development to the running of a place created to welcome and relax customers. We develop business concepts, which are new, feasible and successful commercial ideas. Our experience has achieved great results. This leads us to operate throughout Italy and abroad, with consulting agreements in Rome, Milan, Turin, Florence, Apulia, Sicily, Umbria and abroad in London, New York, Dubai and Beijing. Design International was among the first architectural practices to create individual and authentic Food and Beverage (F&B) opportunities in shopping centres, thereby transforming the experience of retail architecture. They were behind the first food courts in both Europe and Canada. 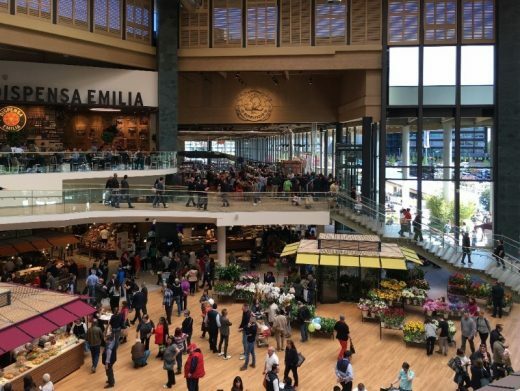 With research reports showing that the trend for F&B in retail environments is increasing – forecast to grow to 20% or more of total space by 2025 – visitors to MAPIC will want to learn more about this important trend. They will also want to explore the impact on our built environment which is being driven by the shift in consumer demand worldwide for public spaces to be havens of hospitality where people can live, work, shop and play, individually and collectively. As an early creator of transformative retail architecture, Design International remains at the forefront of the industry and their stand at MAPIC will showcase the journey from retail to hospitality, and the importance of F&B as both common denominator and driver of change in consumer behaviour. Exhibiting at stand P-1, N.2, Design International will present a selection of their recent exemplary projects. 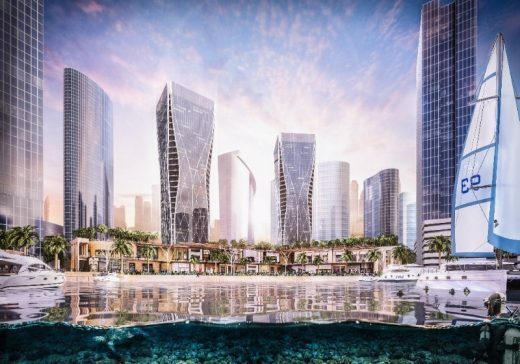 These will include Reem 2 in Dubai, with a promenade dedicated to dining at the water’s edge; Maximall Pompeii, the striking new retail centre that is a key landmark in the major redevelopment programme for this historic city in Italy; and Lulu Group’s Mall in Silicon Oasis Dubai with its geometrically innovative façade that invites visitors into an interior where the blend of architectural and artistic techniques creates unique contemporary internal spaces. To find out more about our experience first-hand, and get advice on trends shaping retail and leisure architecture of the future, visit Design International at MAPIC 2017. 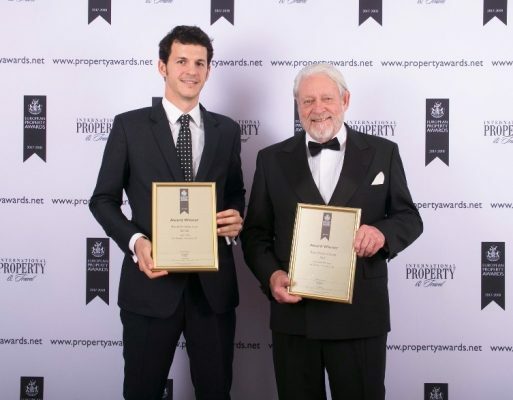 Design International celebrated more success on 26 October, winning two awards for Retail Architecture at the European Property Awards ceremony in London. Now in their 26th year, the awards are judged by an independent panel of 70 industry experts, assessing design, quality, service, innovation, originality and commitment to sustainability for each submission. 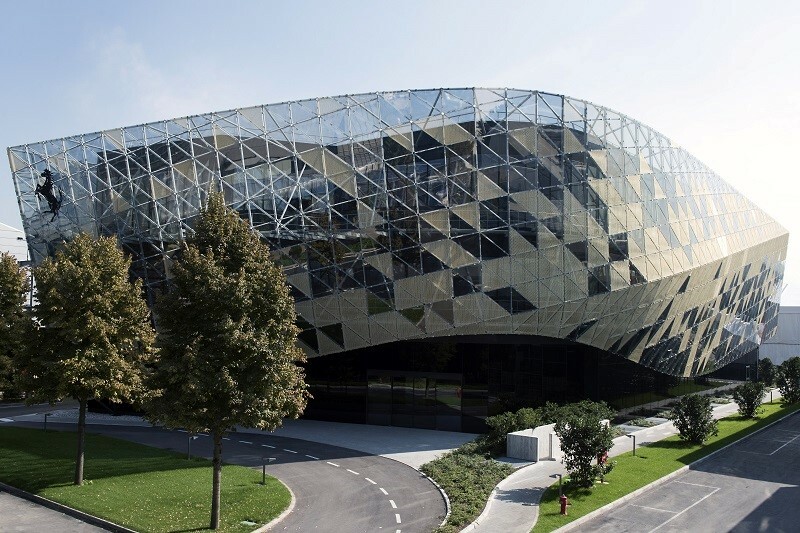 Design International’s award-winning projects were Maximall Pompeii in Italy and Ada Mall in Belgrade, Serbia. Maximall Pompeii is a new mall for the historic city of Pompeii. Working in harmony with the existing fabric of the city, it embraces contemporary design whilst paying homage to the agora, the marketplaces of ancient times. 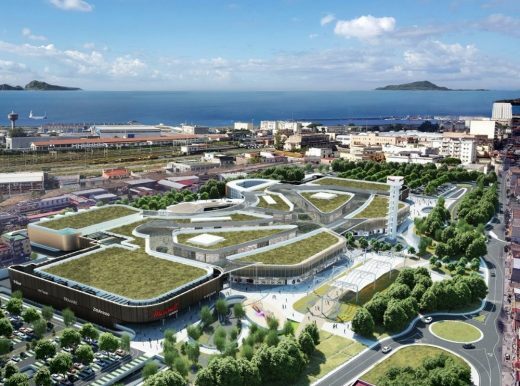 The design also reflects the defining characteristics of Vesuvio, including the green islands, or “dagale” created by the lava flows, and materials are specifically chosen to compliment the historic surroundings. With a total GLA of 50,000 sqm, the new mall will provide a wealth of retail and entertainment experiences. Perfectly located as part of wider development along a key coastal strip, Maximall Pompeii is set to become one of the landmark destinations for residents and the more than 2,5 million people who visit the city every year. 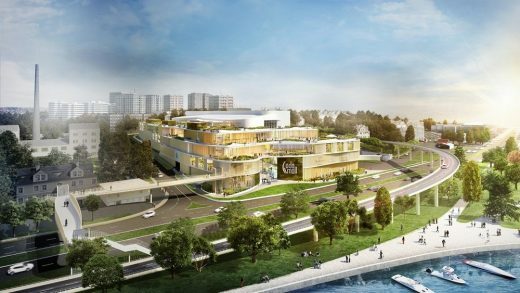 In another major European capital, Ada Mall in Belgrade provides a new green, dynamic sanctuary for the city. Located close to the city centre, the building is designed to take full advantage of its local surroundings and the panoramic views. Adjacent to Ada Ciganlija, a key tourist attraction with over 100, 000 visitors a day, the new mall is carefully crafted to accentuate vistas while also providing unique spaces for shopping, meeting and dining. 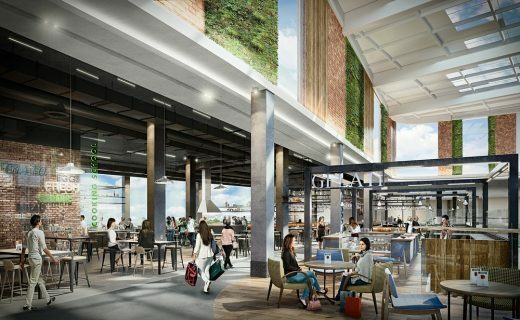 With more than 34,000 sqm GLA, it will host retail units over three floors above which the upper levels have been designed to provide places for relaxation and recreation. These will have separate opening hours, thus providing a “new world” nightspot for visitors. Both projects embody Design International’s philosophy of shaping stories to create transformative experiences. A double nomination, has been given to Design International at the prestigious Global RLI Awards 2017, marking yet another milestone for world-wide architecture and design within “retail architecture” over the past year. The practice, led by CEO, Davide Padoa, has been shortlisted in two categories, “Designer of the Year” and “Best Future Project” with Silicon Mall. Design International is an innovative architectural practice with vast experience on a global scale. Regarded as one of the industry’s leaders in retail architecture, the firm’s unique and diverse designs have seen the practice win many awards, and build a strong presence worldwide. Originally founded in Toronto, Canada, in 1965, Design International is headquartered in London, with offices in Milan and Shanghai. It works across 7 integrated divisions: Architecture, Master planning, Interior Design, Lighting Design, Landscape Design, Signage & Wayfinding, Branding & Marketing. Design International’s philosophy is rooted in the belief that every design has its own individual story; these bespoke spaces are created with the aim to trigger a unique experience for guests. The success lies in its ability to shape stories to transform experiences.